A broad coalition of citizen groups, tribes, farmers and fishermen led a successful campaign to prevent NorthernStar Natural Gas from building a fracked gas export terminal at Bradwood Landing 25 miles east of Astoria. If built, the plant and associated pipeline would have condemned critical farmland, damaged valuable salmon habitat, and put local residents at risk in the event of a rupture or explosion. The proposal, beset by legal and regulatory challenges, collapsed under the weight of heavy opposition. For four years, Oregon LNG tried to force through a liquid fracked gas (LNG) terminal in Warrenton, Oregon at the mouth of the Columbia River. In 2016, devoid of public support and lacking financial backing, Oregon LNG canceled their plans. Citing concerns over the impact to salmon and local agriculture, county commissioners and members of the Oregon Congressional delegation joined community activists in opposing the proposal. The victory prevented the export of 1.2 billion cubic feet per day of fracked gas, twice as much as Oregon uses each day. Faced with intense public criticism and having lost the support of several port commissioners, China-backed Northwest Innovation Works canceled its proposal to build the world’s largest methanol plant at the Port of Tacoma in 2016. The project, slated for the former Kaiser smelter site, failed to satisfy local concerns that the small number of new jobs were worth the public safety and environmental risks. Rallying for clean energy, not new fracked gas plants! 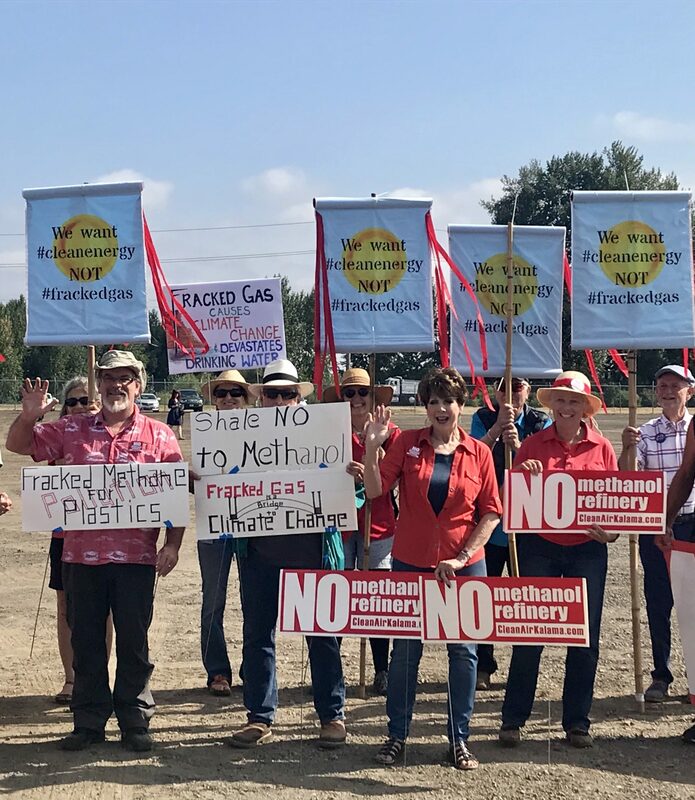 Motivated in part by a massive tide of public opposition, Oregon agencies denied permits for new fracked gas power plants near Boardman. Our message was simple, and it won the day: no ratepayer dollars for fracked gas power. 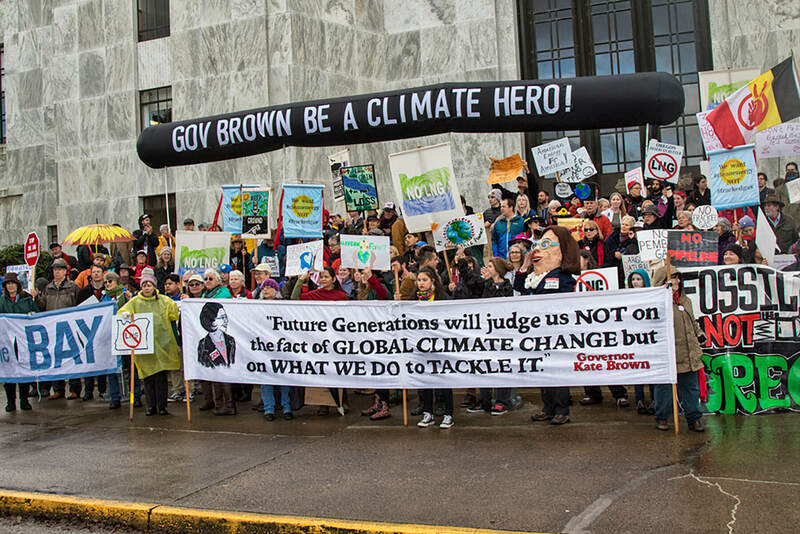 With their decision, the Oregon Public Utilities Commission decision demonstrated that we can steer the Pacific Northwest towards clean energy and away from polluting, climate-destabilizing fossil fuels. For years, the fracked gas industry has been trying to build an export terminal in Coos Bay, Oregon. The proposed Jordan Cove LNG export terminal is smack in the middle of an area known to be at risk of tsunamis and earthquakes, while the associated fracked gas pipeline would cross Oregon’s most fire-prone forests. Heavy opposition from local landowners and community members, along with a lack of proven demand for the gas, appeared to doom the project in 2016 when the Federal Energy Regulatory Commission denied its permits. But Veresen, now Pembina Pipeline Corporation, reapplied under the Trump administration in 2017, hoping the federal government will allow this zombie fracked gas project to come back from the dead. 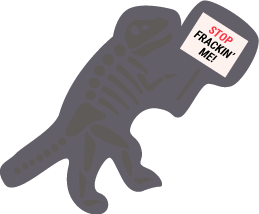 Communities across the region continue to fight this massive fracked gas export facility. The Pacific Northwest has held the line against dirty fossil fuels for nearly a decade, but the job is far from over. Learn more about our current campaigns and how you can support!